Ariel Price is a hardened prosecutor who has never lost a case for the state. When she encounters accused murderer Idris Grange, a descent into an unseen spiritual landscape begins that quickly envelopes everyone around her. After the death of his partner Hannah, Mikey's goal is to get clean and re-establish his relationship with his young daughter. With the added pressure of a drug debt raising its head, Mikey finds emotional release through hip-hop MCing. There are stories that hide in the dark; ones we do not speak of in polite conversation. These Urban Legends, Cautionary Tales and scenarios that ask us, "What If?" are real. 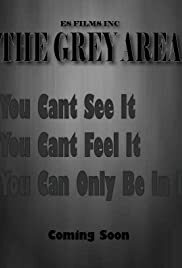 Welcome to The Grey Area.